Trenchless sewer replacement by Evenflow Plumbing saves our customers money. We have over 20 years of experience providing trenchless sewer repair in Union City and helping our customers get their sewer pipe clear of clogs and flowing smoothly. We provide immediate service and can have a sewer pipe completely replaced, without digging a trench, within one day in most cases. We provide 24/7 emergency service with no extra charge for travel time. Evenflow Plumbing has built a solid reputation in Union City as well as all of Alameda county as one of the best trenchless sewer replacement companies. Typically a clogged or broken sewer line is caused by tree root intrusion, earth movement or heavy use and age. We offer our customers a free video inspection of their sewer pipe so we can see if the line is cracked or broken. This allows us to make a recommendation for the repair or replacement of the sewer pipe. 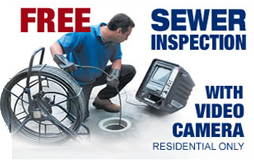 The free video sewer inspection also allows our customers to see the cause of the sewer problem for themselves. Most of the time a trenchless sewer replacement can be completed within a day, without digging up your yard or the street. This is accomplished by digging up the two ends of the sewer pipe and using heavy equipment to pull a new sewer pipe through the ground from one opening to the next. We handle all types of sewer replacement in Union City and surrounding areas. 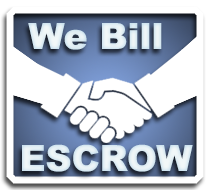 At Evenflow Plumbing, we are accredited by the Better Business Bureau and have many positive online reviews from reputable providers such as Yelp and Google. We have the equipment and experience required to get the job done right the first time. If you need a trenchless sewer repair in Union City please call Evenflow Plumbing now for immediate help. 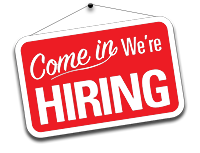 We have a friendly, attentive staff dedicated to serving you. We don’t charge extra for travel time and we will beat any written estimate by 5% or more.